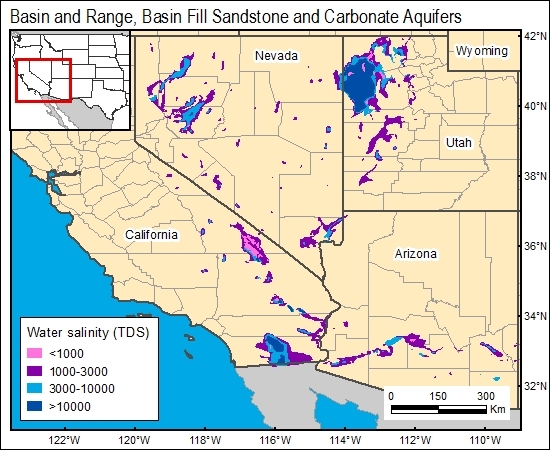 Formation-water salinity data for Tertiary basin-fill aquifers are provided in Robson (1996) and the U.S. Geological Survey (1996). Concentrations of greater than 3,000 ppm of total dissolved solids are limited to elongate, fault-bounded areas. U.S. Geological Survey, 1996, Ground water atlas of the United States, Segment 1.